What is most striking for a visiting photographer to Myanmar, beyond the legions of magnificent pagodas and monasteries, is its people. The 135 ethnic groups offer an extraordinary diversity of subjects to be sure, but it’s their welcoming nature and willingness to open their lives to the camera toting foreigner that never ceases to amaze. As a photography director for a travel company based in Myanmar, I have been fortunate enough to work all over this very photogenic land with its two most celebrated travel shooters, as well as a major award winning western photographer who knows it well. All three photographers have distinctly different styles & approaches. Shooting with 3-time Myanmar Photographer of the Year Kyaw Kyaw Winn, is like hanging out with Yoda. He has an almost metaphysical knowledge of photography and photographic equipment, and carries a wide array of it on the road. What impresses me most about his skill-set, is his ability to shoot brilliantly in any style and in any light, including the harshest. National Geographic contributor David Lazar on the other hand, is a minimalist, carrying only a single camera and lens. His primary focus is portraiture, and his much preferred light of choice is soft and even. David’s biggest asset in my opinion is his ability to relate to all kinds of people who don’t speak his language and have them feel comfortable in spending sometimes extended periods in front of his lens. Hasselblad Masters 2010 public vote winner and National Geographic contributor A. P. Soe’s first love is landscape photography (he’s the only person I know who owns the complete Singh Ray filter set!). Recently, he has developed into an outstanding portraitist as well. A.P. is one of those guys you just have to marvel at, one of those guys who always seems to get the best shot of the day, even though you were standing right next to him and taking the same picture! 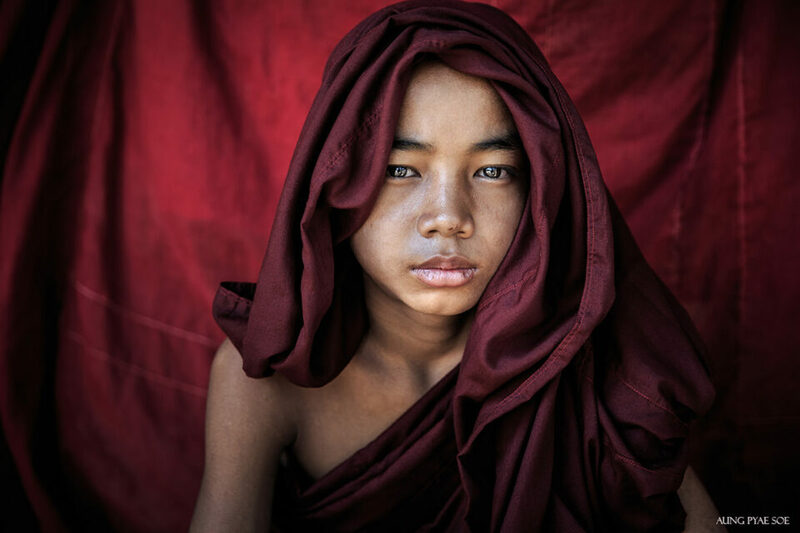 Below is a small sampling from each photographer in Myanmar, with more images and links available here. Myanmar’s Golden Triangle has been little photographed by foreign photographers, despite its stunning rice terraces and numerous tribal peoples. The main reasons are timing and effort involved in getting to many of the best locations. 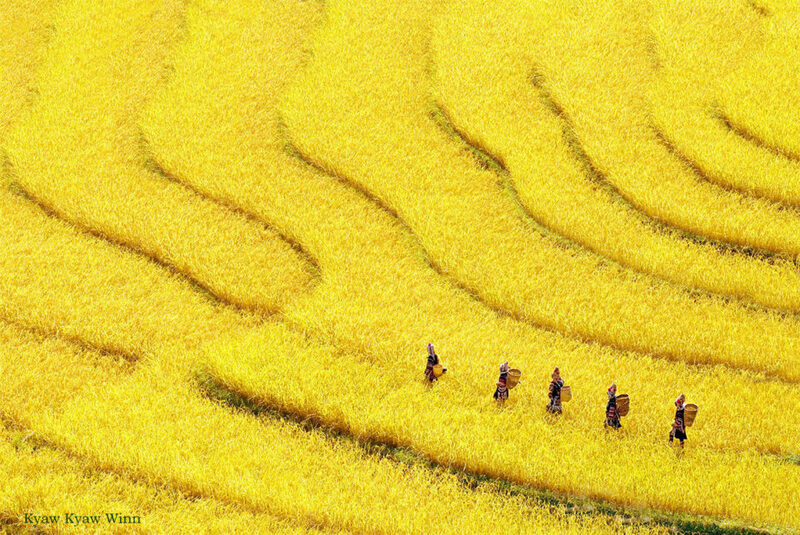 To capture yellow rice for example, as in this awesome image by Kyaw Kyaw Winn, you have maybe a three day window before it gets harvested. It’s also monsoon season, so weather also plays a role in getting there, along with a good guide. This goes for reaching the most interesting and remote tribal groups as well. One of those interesting tribes is the En. They are a vanishing people indigenous to Myanmar, and exist nowhere else. 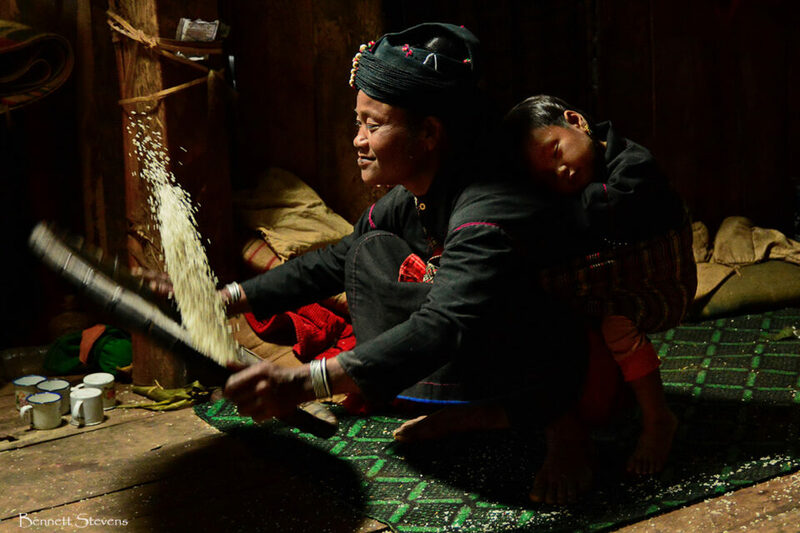 This award winning shot from yours truly shows an En woman tossing rice with her child asleep on her back. They are animists who often die their teeth black, a practice they believe helps to mark them as above the likes of lowly dogs and rats, among other species, who have white teeth. The following three images help to further illustrate the point. All are by David Lazar. Monks and nuns of all ages play a very important role in Burmese culture, and along with spectacular temples, are the most photographed subjects by travel photographers, foreign and domestic. In this superb portrait by A.P. Soe it’s easy to see why. 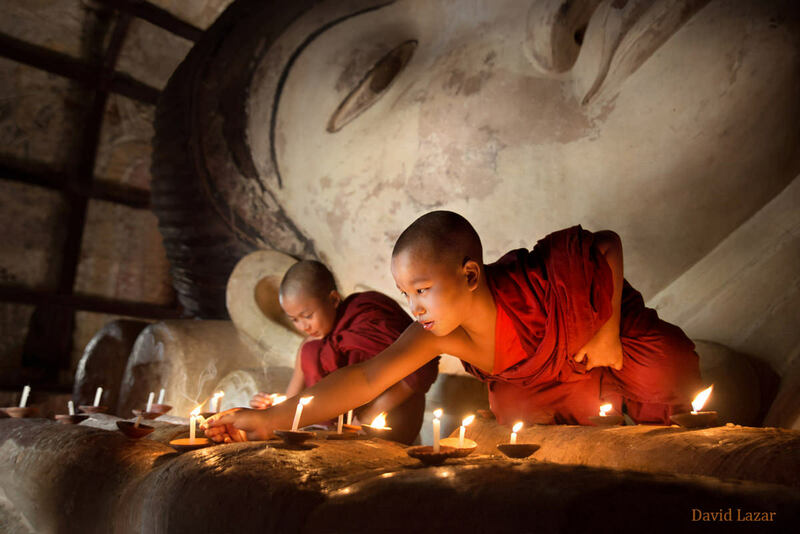 Novice monks light candles at a reclining Buddha in Bagan. 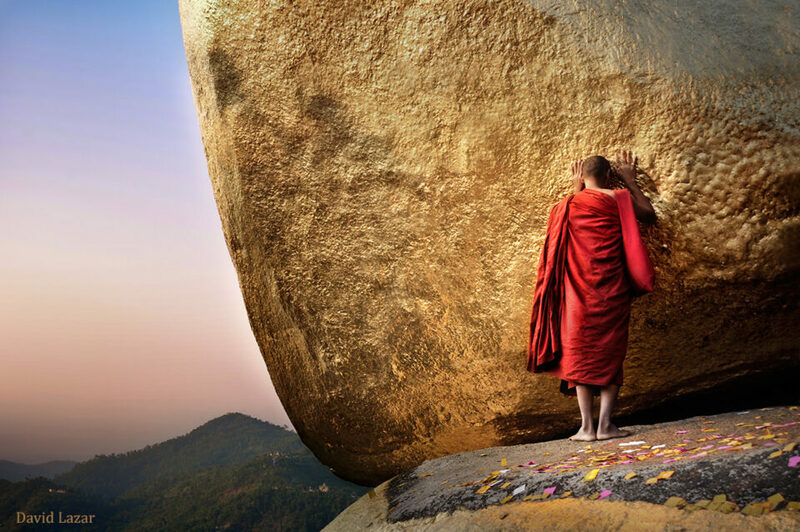 Monk in prayer at the Golden Rock, Mon State. 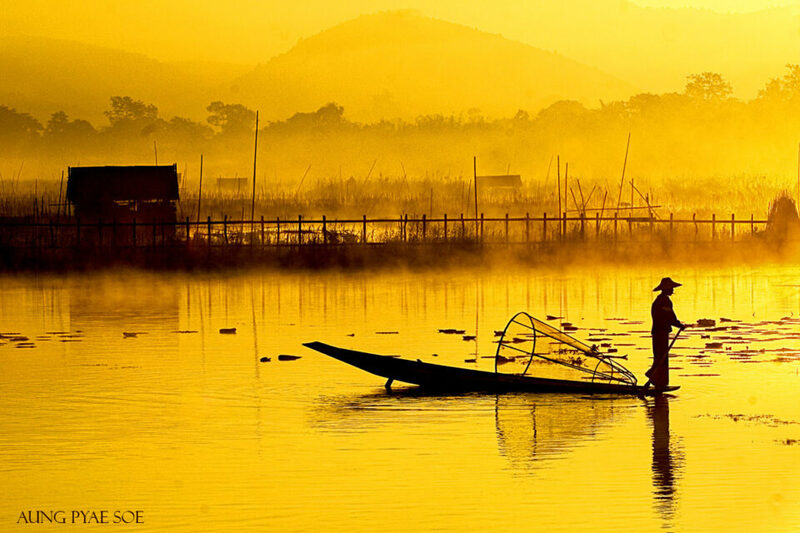 Inle Lake in Shan State is home to numerous tribes. The most photogenic are the Intha, who first settled the lake some 800 years ago, and developed their standing one-legged rowing style in order to help them maneuver their dugout canoes while fishing. 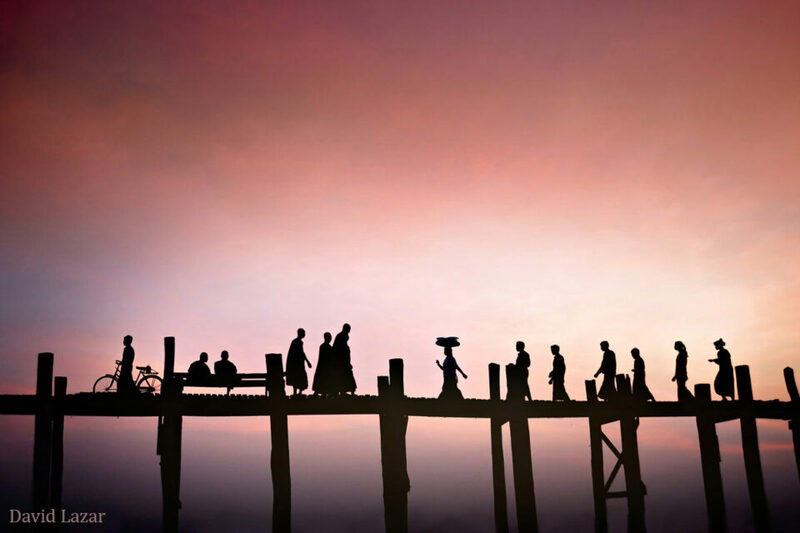 U Bein Bridge at sunset, Amarapura. 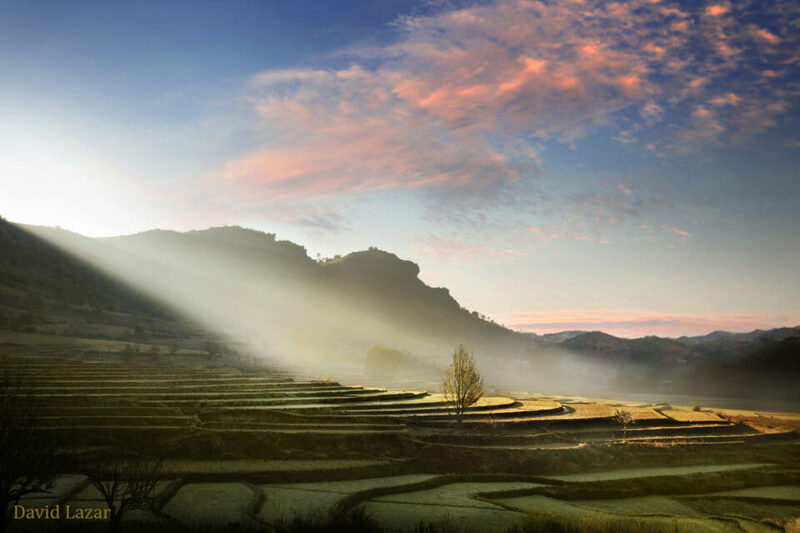 Rice terraces in Shan State. Senior monk praying in a Buddha cave sanctuary in Mon State. More than 700 uniquely designed Buddhist temples have been uncovered in the jungles around the lost dynastic kingdom of Mrauk U.
Chin woman in a remote village outside of Mrauk U, accessible only by river. 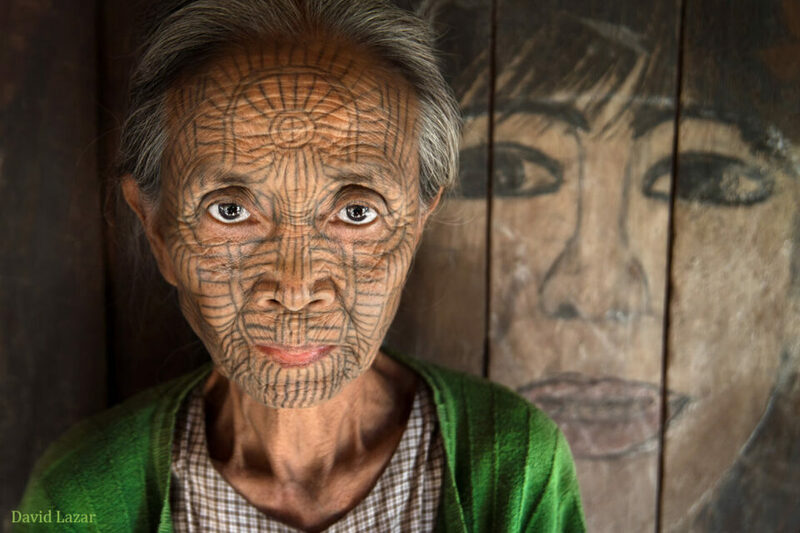 The ancient tattoo branding among Chin tribes is no longer practiced, as shown by the background mural of this woman’s granddaughter. 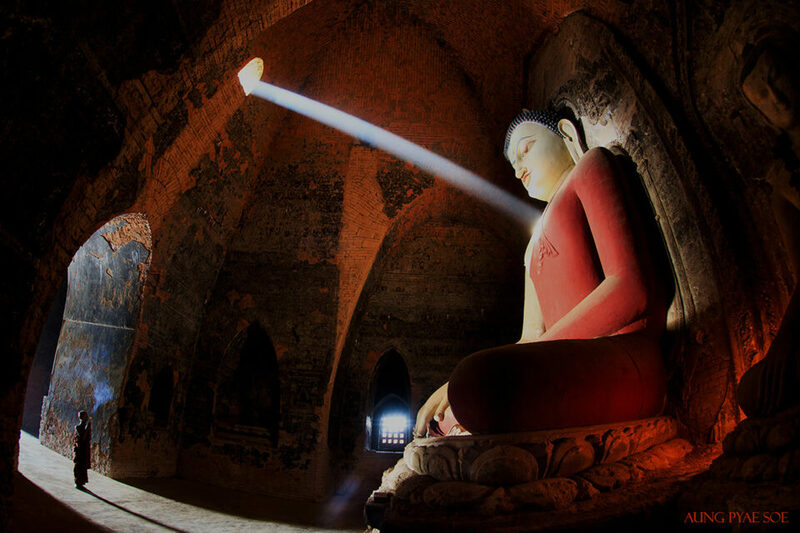 The 2,220 ancient temples still standing in Bagan form one of the most stunning archaeological sites in the world, and is understandably Myanmar’s number one tourist destination. 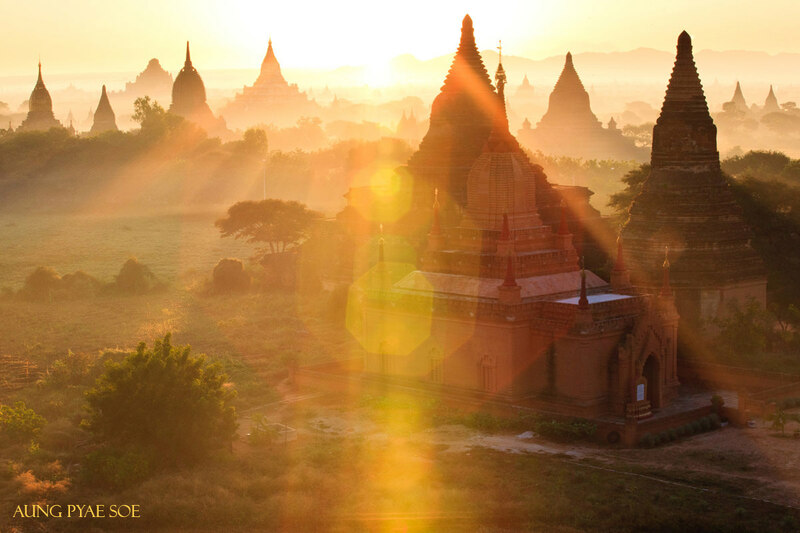 Bagan is also a working rural village, with goat and cattle grazing amid the temples, herded home at sunset. 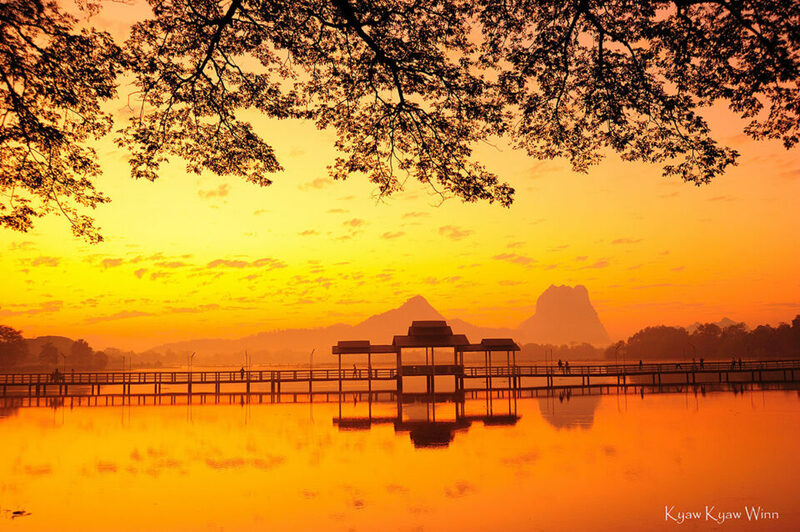 This guest post was submitted by Bennett Stevens, a writer and photographer based out of Thailand. 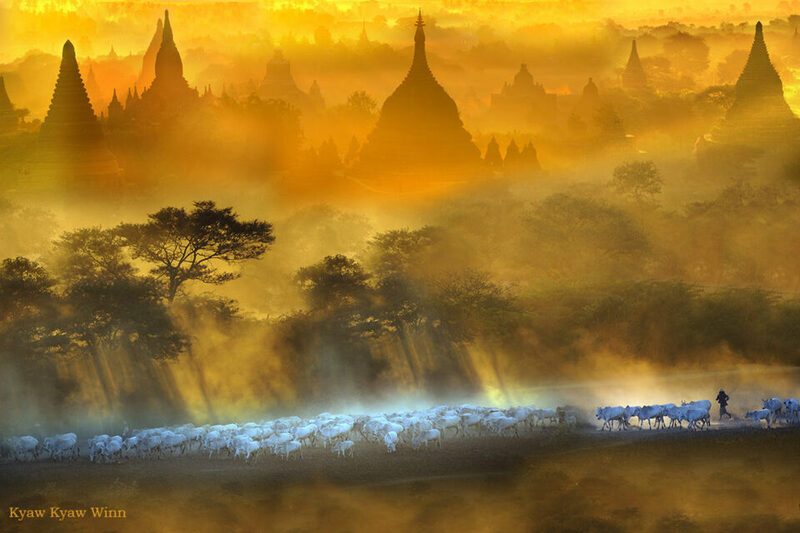 You can visit Bennett’s website here and see more inspiring images from Burma, India, Israel, Cambodia, Vietnam and other countries. 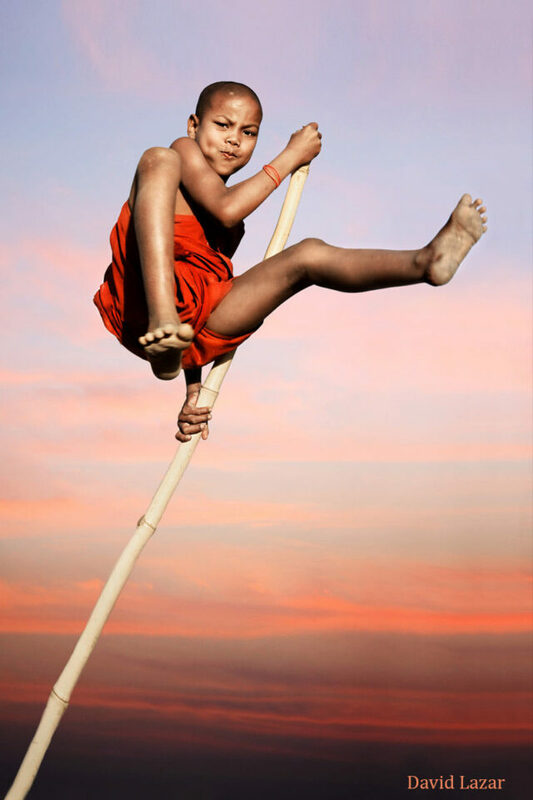 Bennett Stevens is an award winning documentary and travel photographer based in Bangkok, Thailand. To see his images please visit his website. Wow, thank you for sharing these beautiful pictures! I’m just deeply amazed on the emotion of each and every photo. It’s very difficult to express what those make me feel. It’s a mix of emotion, peace and dazzle. The smile of the lady with the little baby; the peace on the child’s face; the energy of the jumping kid; the devotion of both kids; just to name a few. Also the beauty of the land! Carlos, you summed up exactly how I felt looking at these pictures. They were stunning, to say the least! All the photos are Beautiful. Do you think we would have got the same tonality and dynamic range in photos clicked from NIKON D3S had you used any other camera, like the D70 or 7100 ? I concur. When someone has taken such stunning photographs, it is appropriate to appreciate the work than talk about the photography gear. The photographs are excellent and the photographer is a master craftsman. It is due to this reason I am seeking an expert opinion to know if such amazing photographs can be taken by my Nikon D7000 + 18-15 kit lens. In other words , apart from photography skills, an artistic eye , what else is needed to capture something like this. Any guidance would be greatly appreciated. Yes you can, you need to learn your lens limitations and find the sharpest aperture first. Then there are lot of techniques to get entire image as sharp as possible by focusing at certain distance based on the focal length. If you have VR ON for high shutter speed or on Tripod turn it OFF. In the end what camera captures is 50-70% work rest is done post enhancing highlights, shadows, color balance, tone etc., Minimum have Lightroom workflow, post processing is something that has been used all through the ages yes even with film captures. What you have is an awesome camera Nikon made in DX format, go out and shoot more but don’t stop there. Come back and do some post work plus buy a decent IPS monitor. If you are not happy with your kit lens you won’t be happy with expensive gear and feel wasted money on something. I have seen forums and sites where people show what kit lens or 1 inch sensor camera can do. This is my personal experience and I used to be a gearhead learnt by wasting money on something I don’t need. Hope this helps. Another thing I missed is start early before sunrise and stay after sunset. Also with zoom lens each focal length has different sharpness for the aperture set. Thank you very much. Appreciate the tips. I plan to start traveling and take my photography to the next level. Thanks for your tips. I need to learn post processing now. Thanks once more. Much Appreciated. You iPad compositions are great, but loved your portraits. I think that is your strong suit and you know Rahul Dravid :). I just bought my new external flash and umbrellas last week to try out this side of photography. What is your setup on strobes and light modifiers? One this I noticed in external flash is aperture kind of wide open on primes. I would keep it around f4-f8 when using external flash. Some beautiful images. Great use of light. Thank you for these, Bennett. Simply stunning and evocative images! The beauty of the place certainly helps. But these guys as Masters and show us that in the end it is no the equipment but the photographer. Just like others have stated the fact that some photos were captured with the good old 6 Mpix D70 and the 10Mpix D200 proves it. Aspiring to make these kind of art work and visit places with outstanding beauty keeps inspiring me. Yet I also know that people can make the apparently ugly very attractive or down right beautiful in the photographs. Sometimes it hurts that my hunger for equipment makes me spend more time and eventually money on Craigslist, Ebay or reading than going out to take and make photos. And maybe that is just what I have not yet accomplished, learn how to IMAGINE and MAKE images using the photographic medium. Thanks for sharing such beautiful work! Amazing pictures! Although the last one seems heavily retouched. Maybe is my monitor. Your images are very amateurish. Lots of noise and over edited. Stop jacking other peoples posts to promote your sub standard work. The captured images are truly fascinating. Even though I have never been to Myanmar, your pictures have portrayed the very essence of the colors and beauty of this wonderful land. I am really awed by such beauty of the country and its people. This series is fantastic, the monk pictures gave it a real emotional taste. The lady with the tatoo is sensational!!! The photos with all the monks are all staged. Though the photos look nice, I feel like many of these are not authentic. These monks are paid to stand in certain positions holding umbrellas (or candles) and posed for the photo. What’s worse, these monks are paid to do this. Doesn’t seem very natural to me and this type of behavior should not be encouraged for travel photography. The novice monks with the candles…staged. 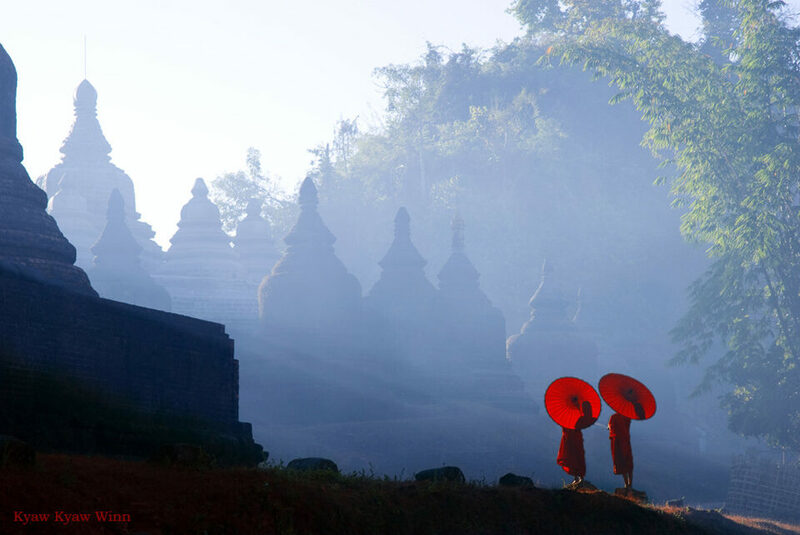 The monks with umbrellas standing in the light….staged. 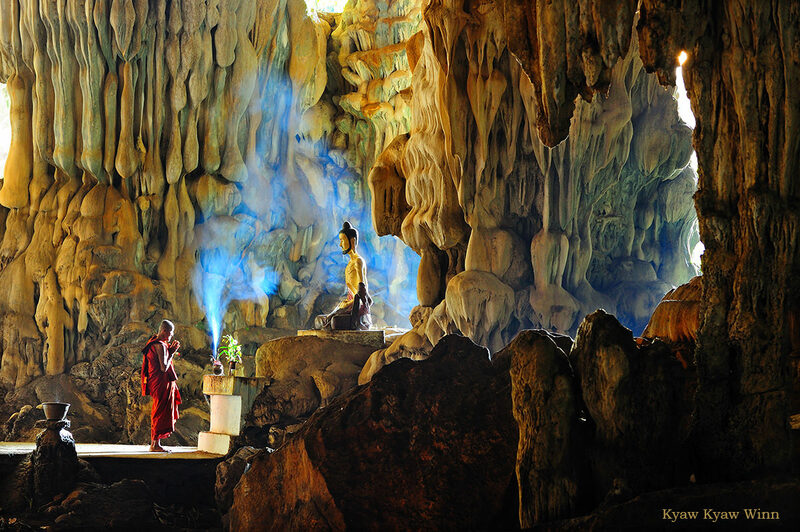 The monk praying in the cave…staged. Sorry if I sound negative, but this needs to be pointed out. Oh and I know this is a fact because I have spent a lot of time in Myanmar and I was told by the monks themselves that these types of shots are all staged and paid for. Don’t apologize for being negative, Apologize for being clueless. First, not all are staged. Second – what is the problem with “staging” a portrait? Set ups are part of travel photography, and that’s just reality. “Paid to do this”? Do you have a problem with donating money to a monk or monastery (who rely 100% on the kindness of donations) for the giving of their time to pose for portraits? Because they certainly don’t! Would you rather they get stiffed for nothing? I Iove great candid portraits as much as anyone – we all do. So let’s see your candids, your un-posed portraits – I think it will be quite illustrative. And then please share with us all the great classic portraits in history that were not posed! Sorry to burst your bubble – but it’s time to get real. I’ve read that Ansel Adams had boulders and logs moved into his captures, thereby enhancing his “finish product”. When you visit a site and say to yourself: “nice setting, but the lighting is off-I’ll return again later in the day”. In a sense, you have also, “staged” your capture! I feel that the photographer’s artistic creativity leads him/her to introduce enhancements to his finished photo, either by physical placement of items (including people) or waiting for light to be his natural addition to what he/she visualizes as the finished product. Even the Street photographer waits for the “decisive moment”, be for he/she trips the shutter!